Read the full Richmond Times-Dispatch article here. This entry was posted in Clean Energy, Dominion on March 28, 2019 by Ellen Bouton. The Appalachian Voice for February/March 2019 includes a second installment in their “People in the Path of the Pipeline” series. There are stories from people in the path of the Atlantic Coast, Mountain Valley, Mountain Valley Southgate, and Mountaineer Xpress Pipelines. Read the February 2019 set of stories here, and the earlier April/May 2018 stories here. This entry was posted in Environmental Impact, Landowners, Pipeline Route, Songs and Stories on March 28, 2019 by Ellen Bouton. 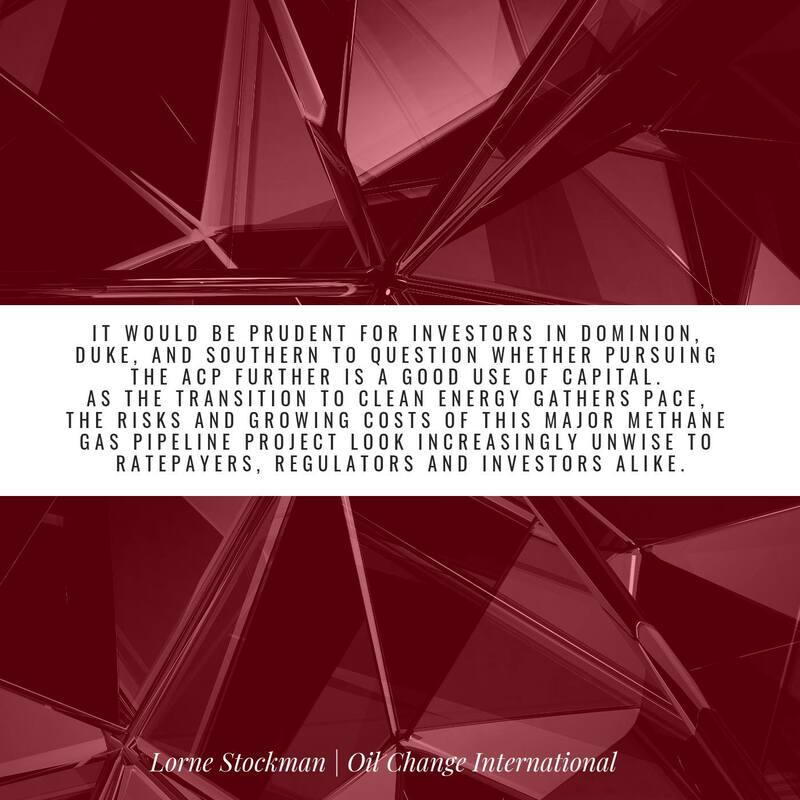 On March 25, 2019, Oil Change International released a new report, Atlantic Coast Pipeline – Risk Upon Risk, about the public health, ecological, and economic risks of the now $7.5 billion dollar ACP. As the transition to clean energy gathers pace, the risks and costs of this huge fracked gas pipeline project are growing rapidly in the face of major legal, regulatory, financial, and community challenges. The ACP is now two years behind schedule and substantially over-budget. The latest update from Duke Energy estimates the project cost at between $7 to $7.8 billion – 37% to 53% higher than the original estimate of$5.1 billion – with the latest date for full operation now pushed back to 2021. These challenges and the accompanying risk are likely to further delay construction and raise the project’s price tag even higher. If completed, state utility regulators in North Carolina and Virginia are unlikely to justify passing the full cost of methane gas transportation contracts onto ratepayers. Download the full Oil Change International briefing here. This entry was posted in Citizen Surveillance, Construction, Dominion, Economy, Finance on March 25, 2019 by Ellen Bouton. 3-28-19 The Recorder. Dominion confident in its troubled pipeline project. 3-28-19 Roanoke Times. Northam’s push to overhaul DEQ moving forward. 3-28-19 The Robesonian [NC]. A thousand-cuts strategy imperils ACP. 3-26-19 E&E EnergyWire. Cheap batteries could soon replace gas plants — study. 3-26-19 Blue Virginia. Dominion Energy Touts the (Supposed) Wonders of Fracked Gas, Lays Out Its Timeline for Restart of Its $7 Billion+ Atlantic Coast Pipeline Construction. See the full set of Dominion slides here. 3-26-19 Lancaster Online. Property owners along Atlantic Sunrise gas pipeline get letters warning of possible liens. 3-25-29 Seeking Alpha. Duke Energy needs ‘Plan B’ if Atlantic Coast Pipeline fails, Good says. 3-25-19 Chicago Tribune. Northam presses Dominion boss on energy efficiency. This entry was posted in News Reports on March 25, 2019 by Ellen Bouton. This entry was posted in FEIS, FERC on March 21, 2019 by Ellen Bouton. For background information see our post on March 14, 2019. For details see our post on March 7, 2019. 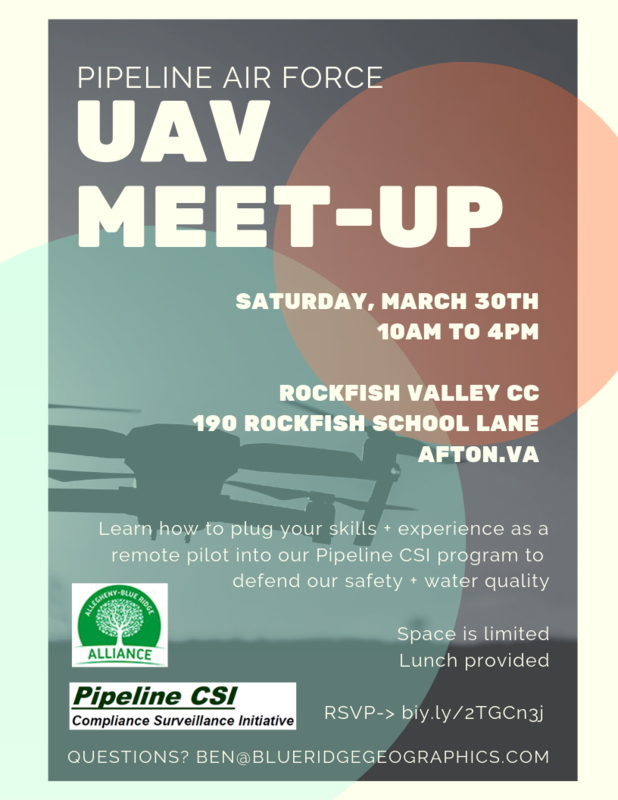 See also the recent news article, Drones change the way advocates protect the environment. 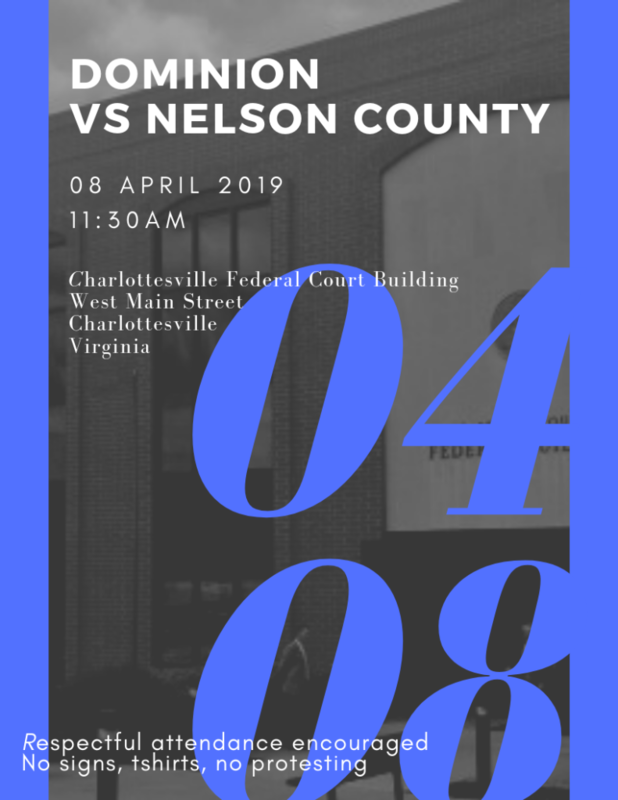 This entry was posted in Citizen Surveillance, Court cases, Events, Zoning Requests on March 21, 2019 by Ellen Bouton.